One wintry day, attorney Uri Ullman comes to his father Amos’s home in Jerusalem to find out why his sister Dorit killed herself the year before. Dorit, ten years older than Uri, wrote poetry; she’d also suffered from depression for many years. What triggered her suicide was kept a secret from Uri—he was having a kidney transplant at the time, but now he is determined to get an answer. Yet can one answer such a question? Apparently, their father was responsible: an artist and amateur archaeologist, a selfish man with unusual verbal skills, he was to give his kidney for his son, but got out of it at the last minute. And Uri agonizes about betraying his sensitive sister by not protecting her. While probing for the family secret, Uri calls up lost memories. He recalls images of his childhood, describes his special relationship with Dorit, and speaks about his unfulfilled desire to leave his lucrative work as a lawyer and become a literary scholar. Finally, at the end of the novel, the family secret is revealed in a shocking disclosure. More than an attempt to comprehend death, this lovely, intelligent novel portrays life’s pain and its beauty, exploring the covert relations between us and the people who are supposed to be closest to us. With wisdom and delicacy, but also with wild humor, Burstein recreates the wonderful intimacy between a brother and sister, tells us about a remarkable encounter with an astronaut who has walked on the moon, and shares the innumerable moments of grace and magic of which life is composed. Burstein is one of the most brilliant and exciting writers active today...His writing overwhelms you, enchants you. You finish a page and feel that there’s no more air in your windpipe. Sun’s Sister is...filled with wisdom. 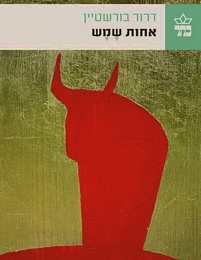 It is an innovative and uniquely significant book, a true opening up from the confinement of Hebrew literature.